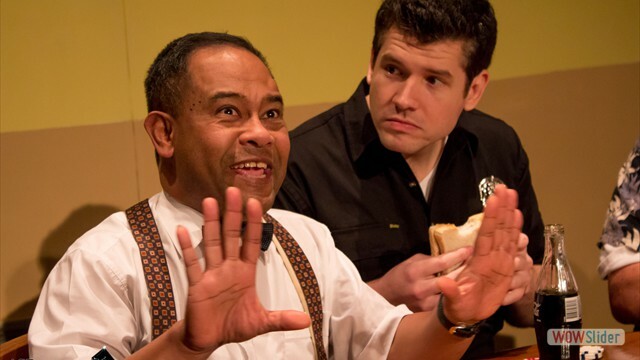 “I got brown sandwiches and green sandwiches. 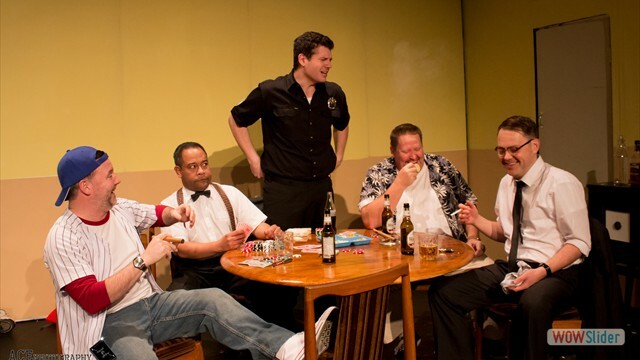 It's either very new cheese or very old meat.” — Oscar Madison. 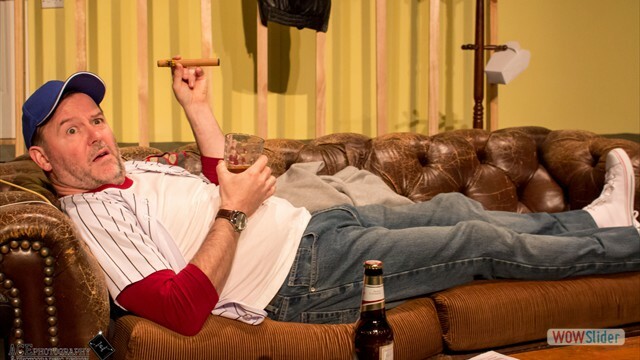 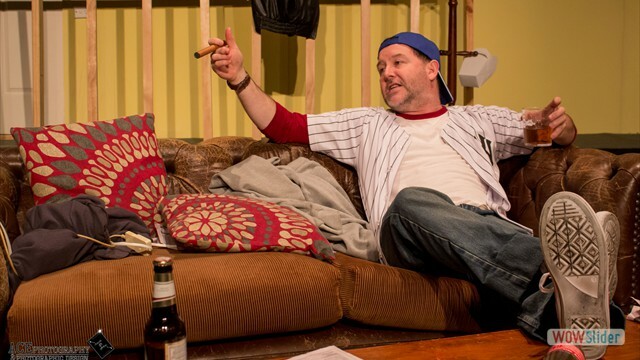 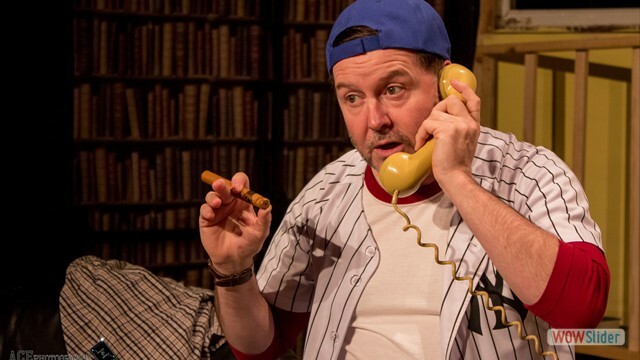 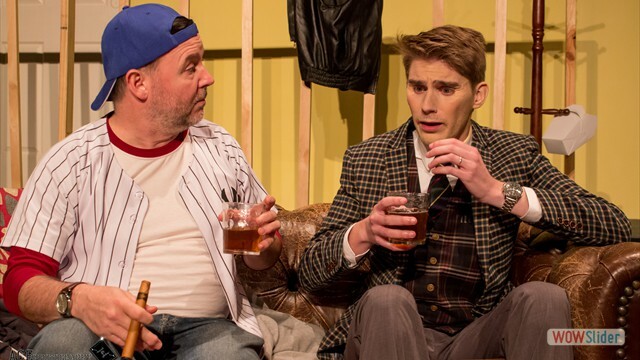 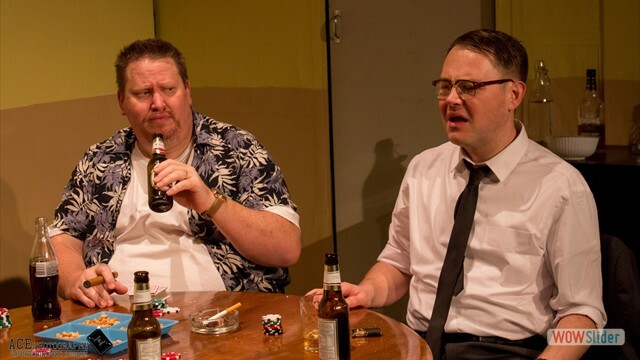 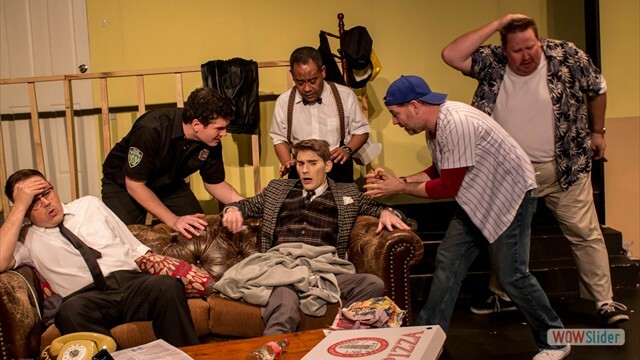 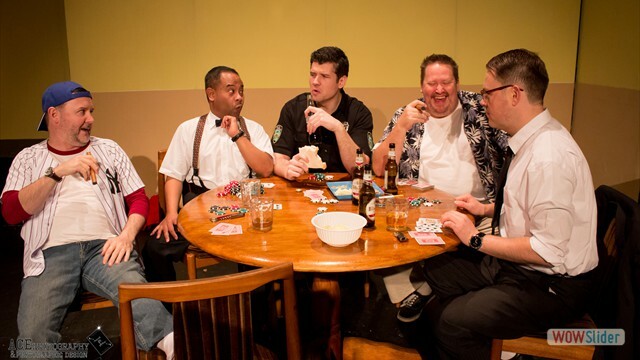 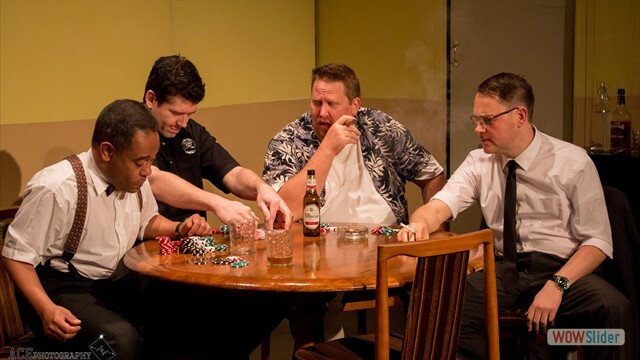 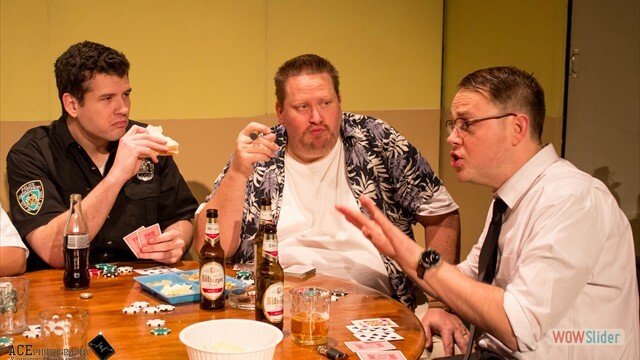 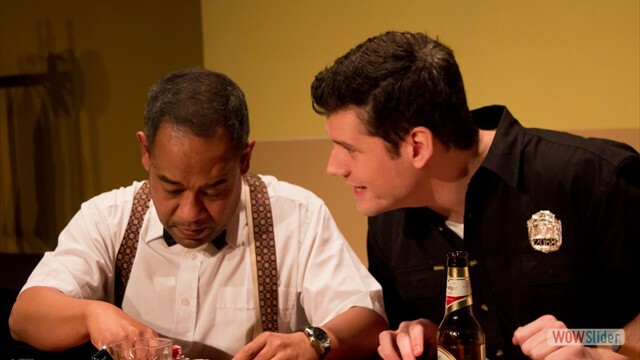 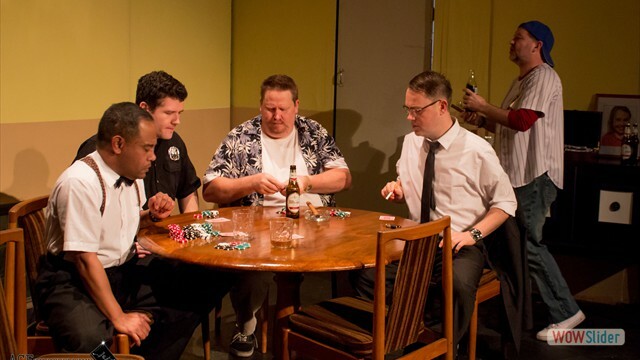 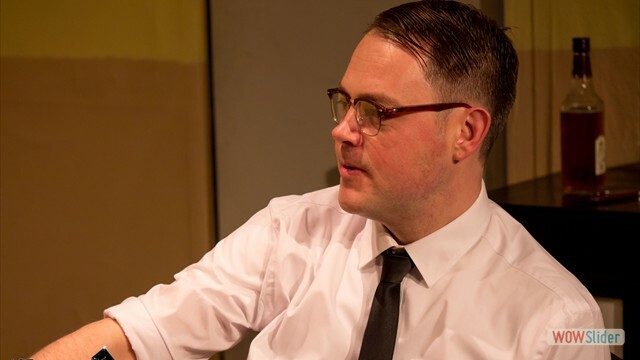 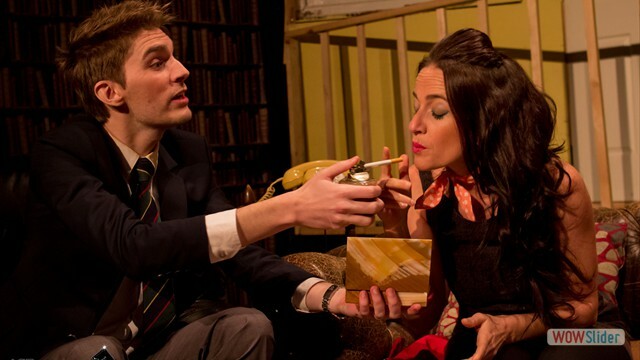 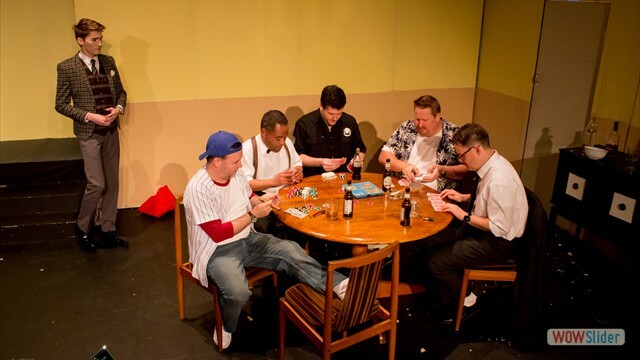 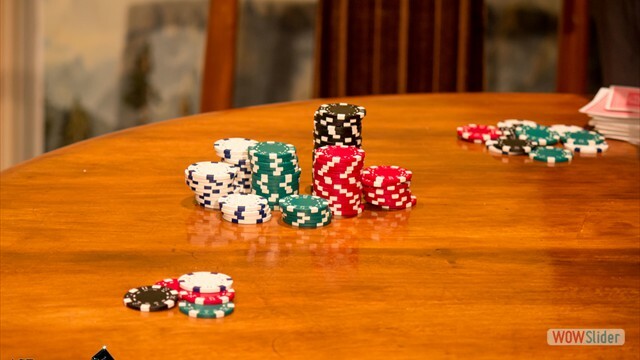 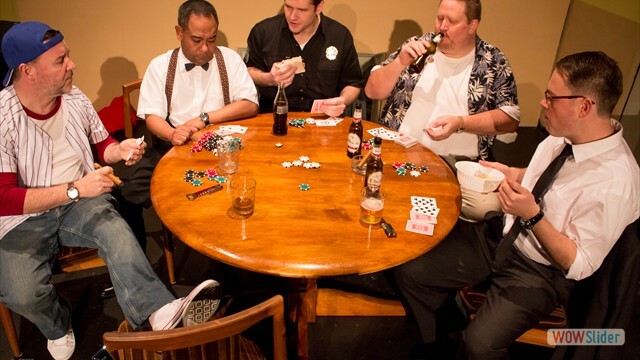 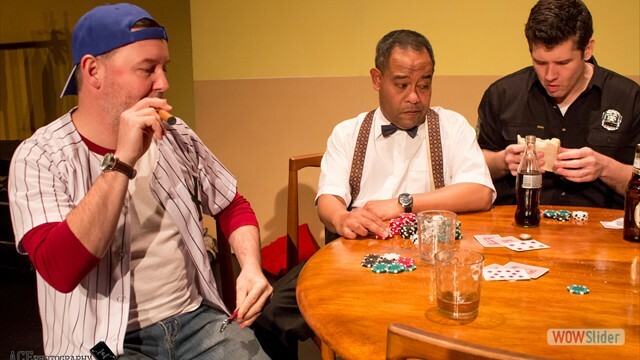 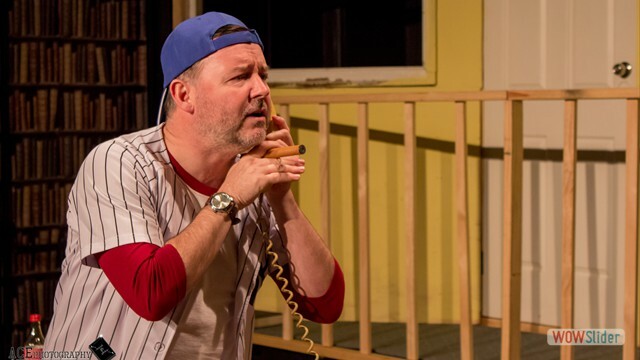 Neil Simon's "The Odd Couple"
"Men, beer, mess and cards? 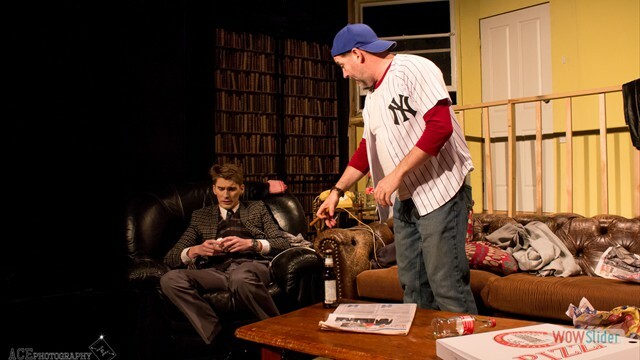 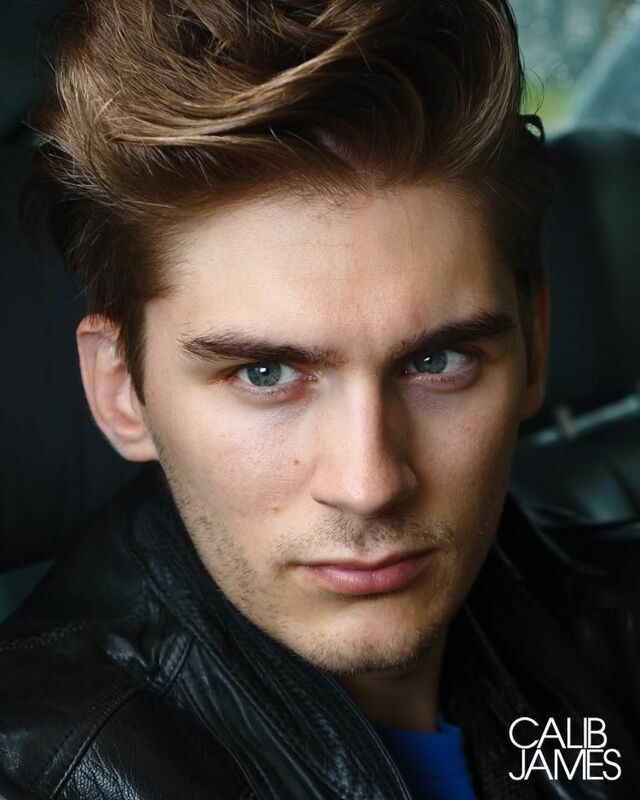 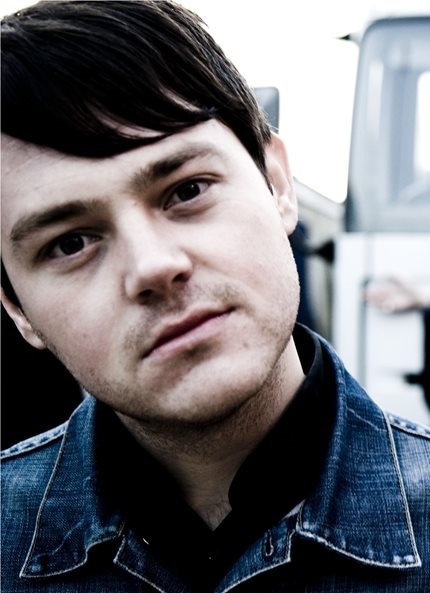 ...it all worked brilliantly and you feel immersed in the feel of Oscar's New York appartment." 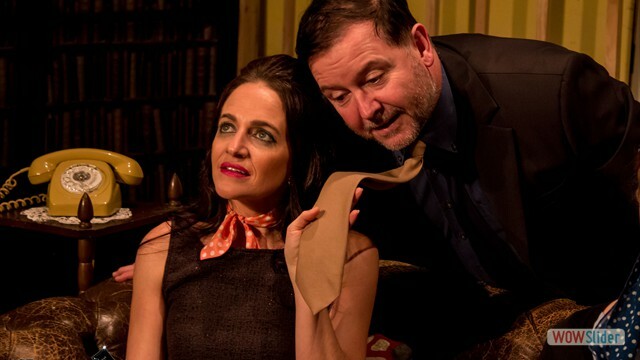 "The cast of eight actors delivers comedy brilliance ... every role has been well cast by director Mark Power"
"A great light-hearted production which will leave you laughing, and humming ... on your way out of the theatre"
When "Divorced, Broke and Sloppy" Oscar Madisson takes in newly separated, fastidious and depressed Felix Ungar it seems like a match made in heaven, but the tension and laughs grow as these two insufferable men try to live together. 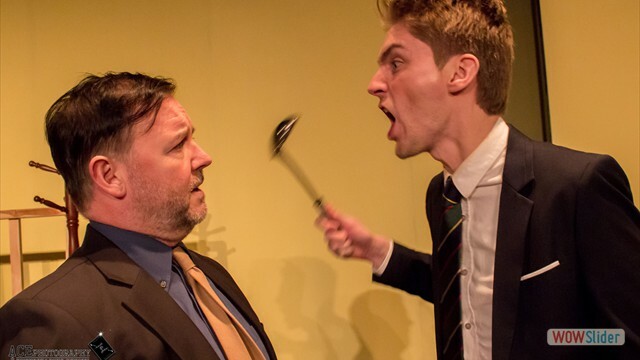 They will save each other or kill each other trying. 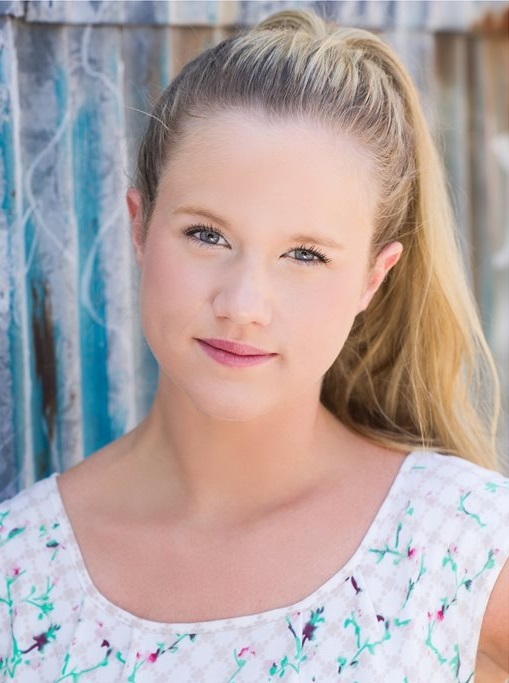 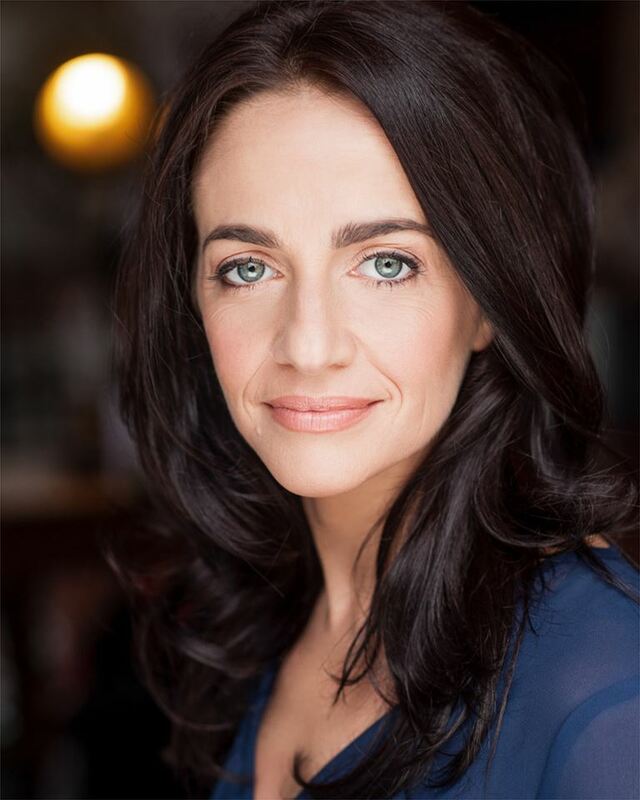 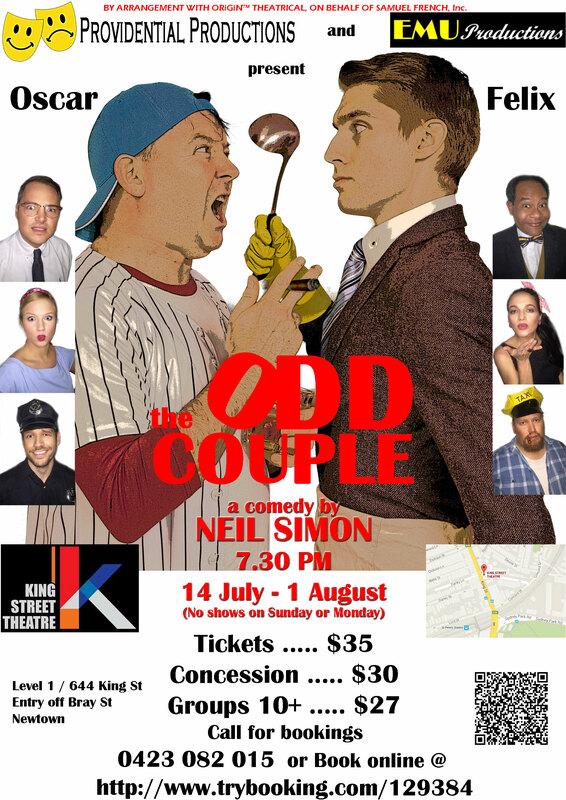 BY ARRANGEMENT WITH ORiGiN™ THEATRICAL, ON BEHALF OF SAMUEL FRENCH, Inc.
Neil Simon's most famous characters will come to life on the stage of the King Street Theatre from 13rd July - 1st August 2015. 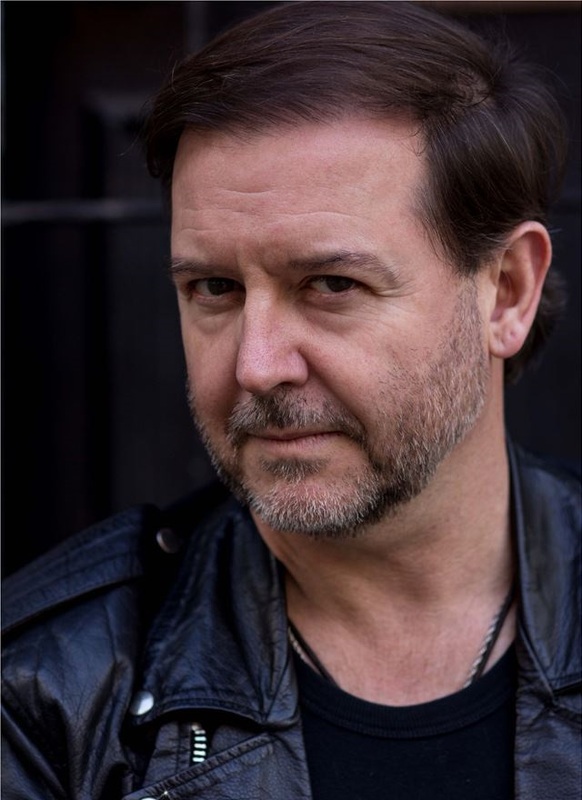 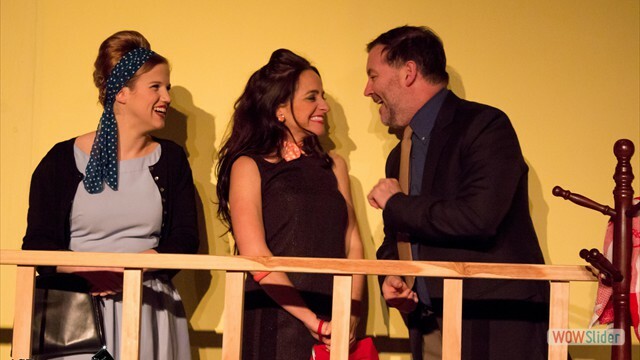 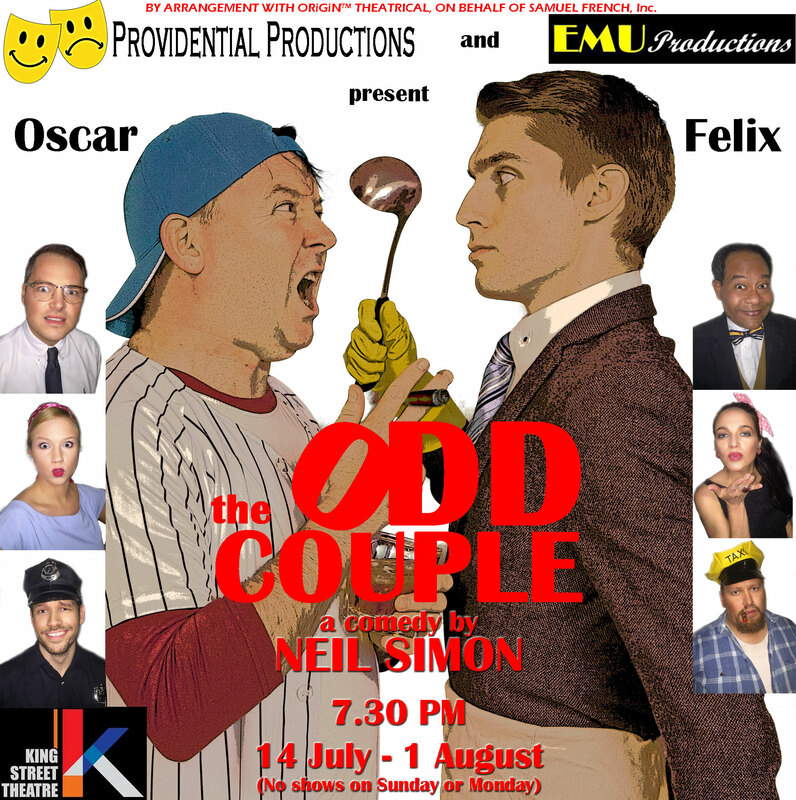 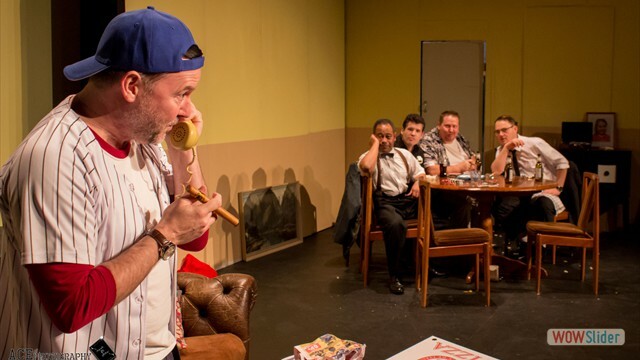 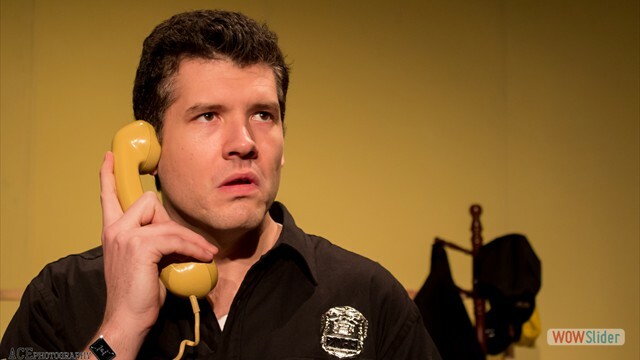 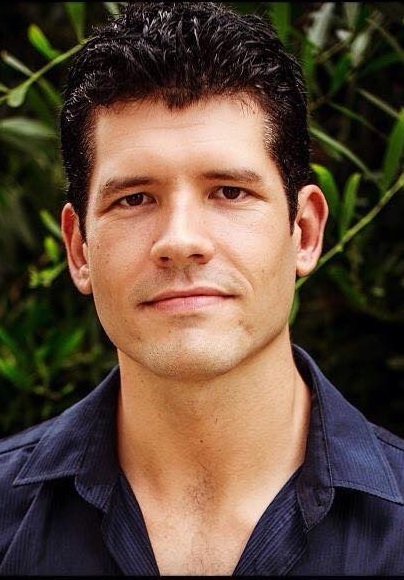 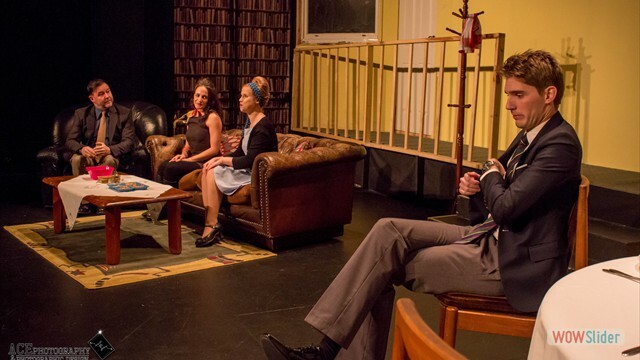 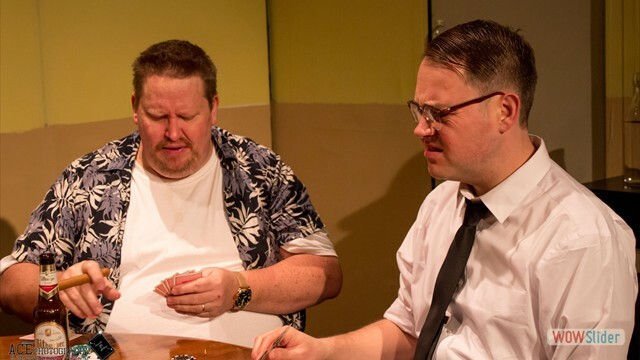 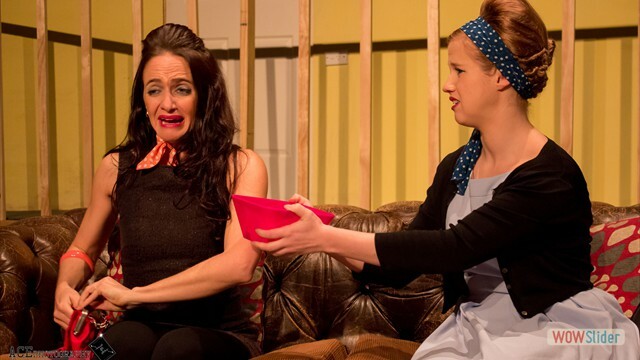 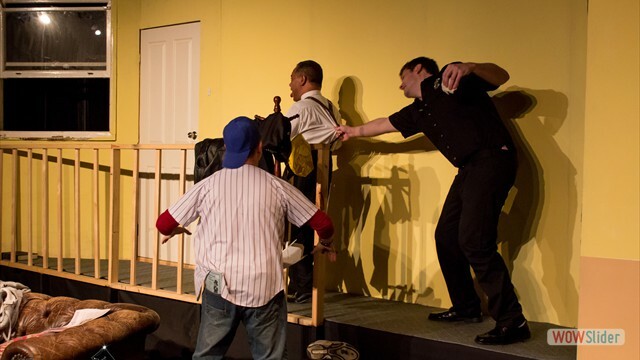 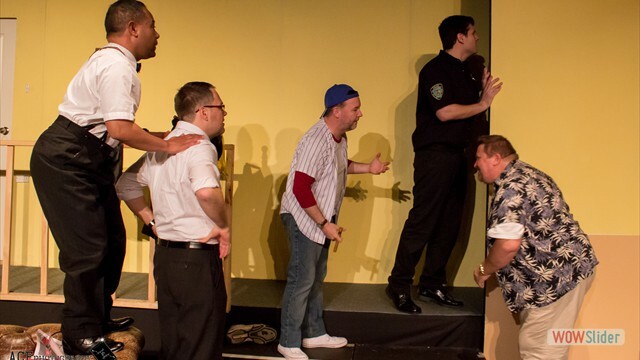 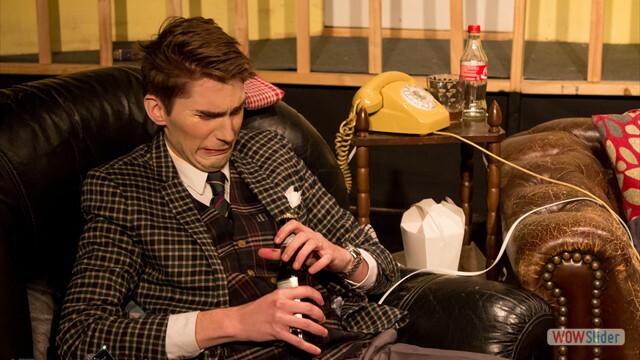 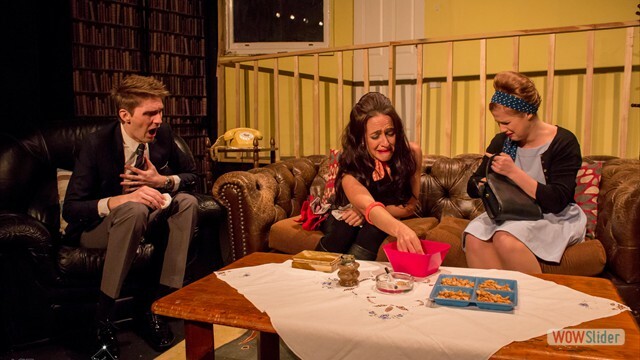 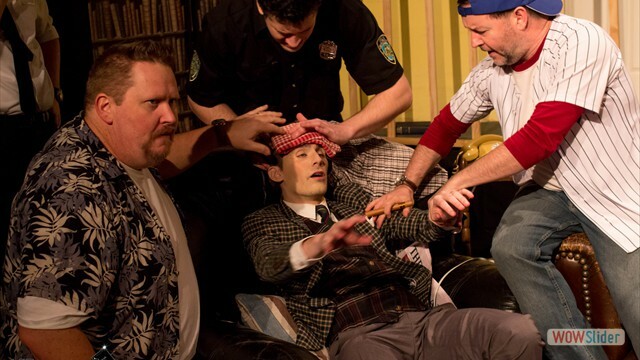 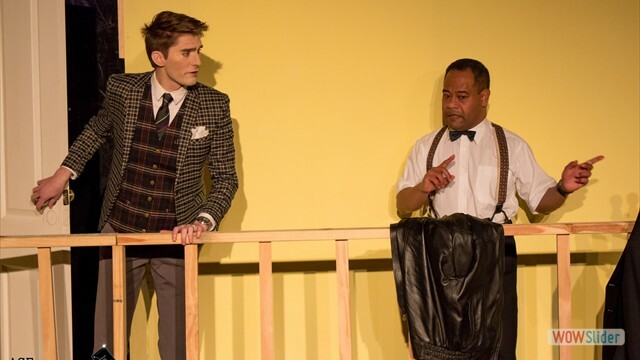 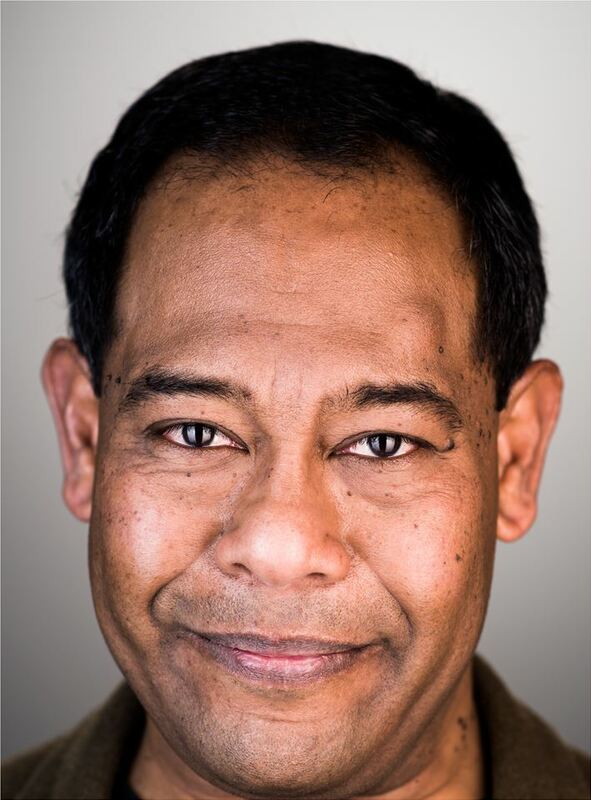 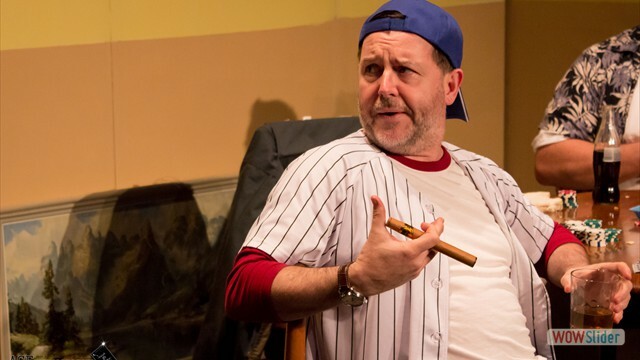 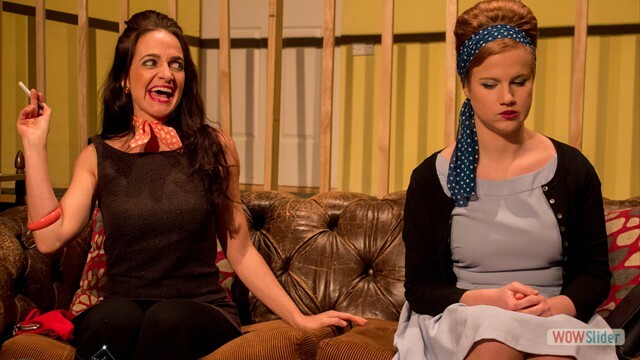 Directed by Mark Power and Co-produced by Providential Productions & EMU Productions, The Odd Couple will be a riotous night of entertainment for every audience.